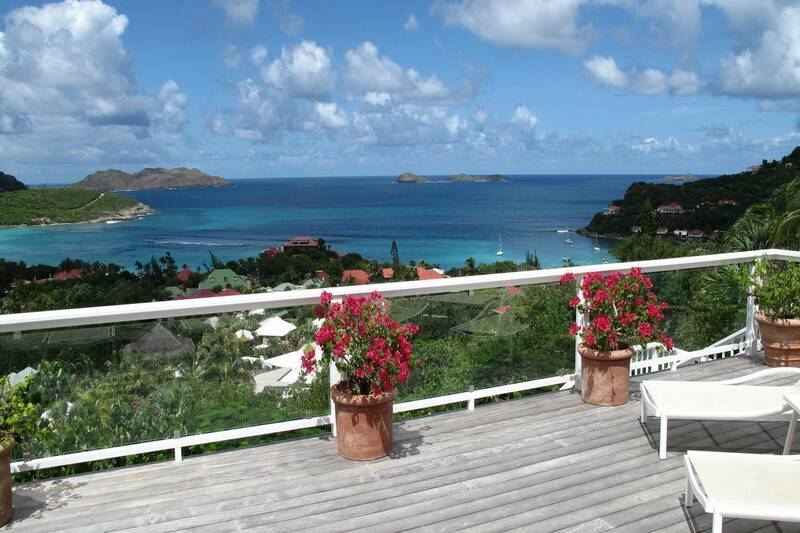 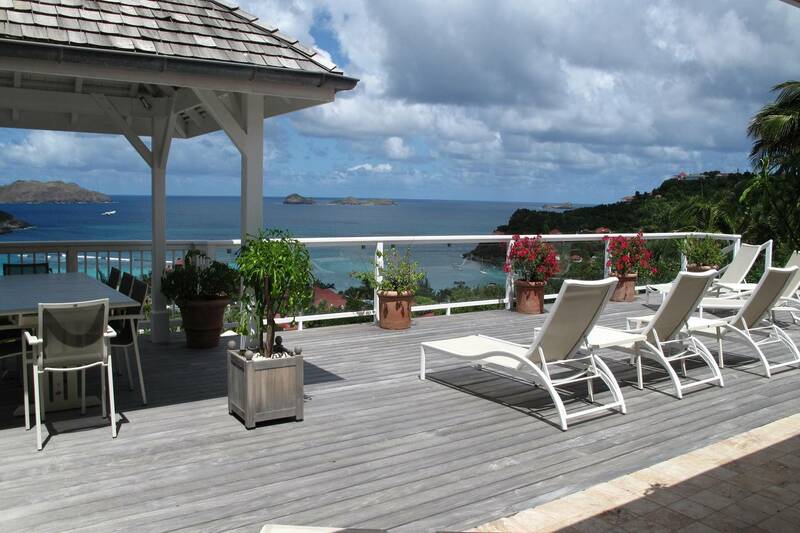 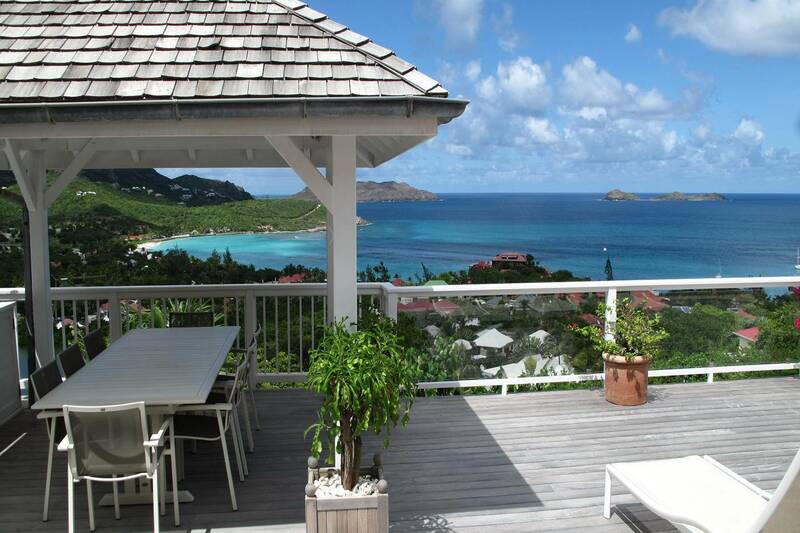 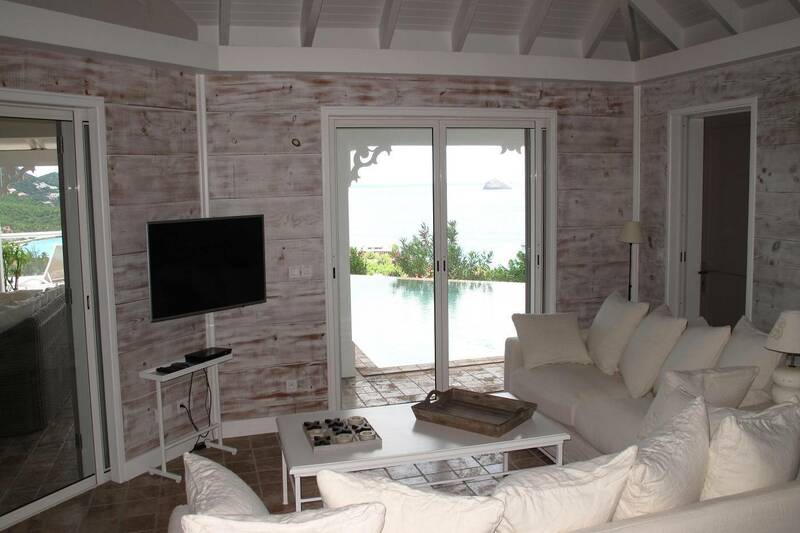 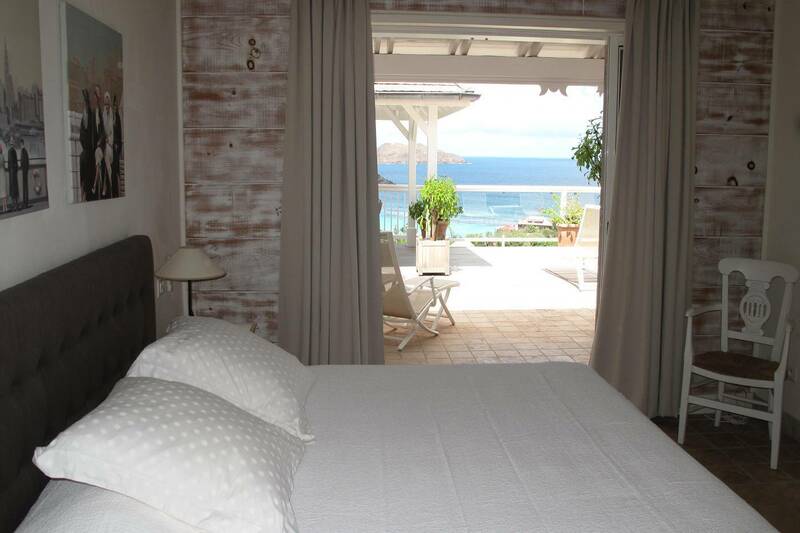 Dream About: A St. Barth villa vacation with a touch of old world Caribbean elegance. 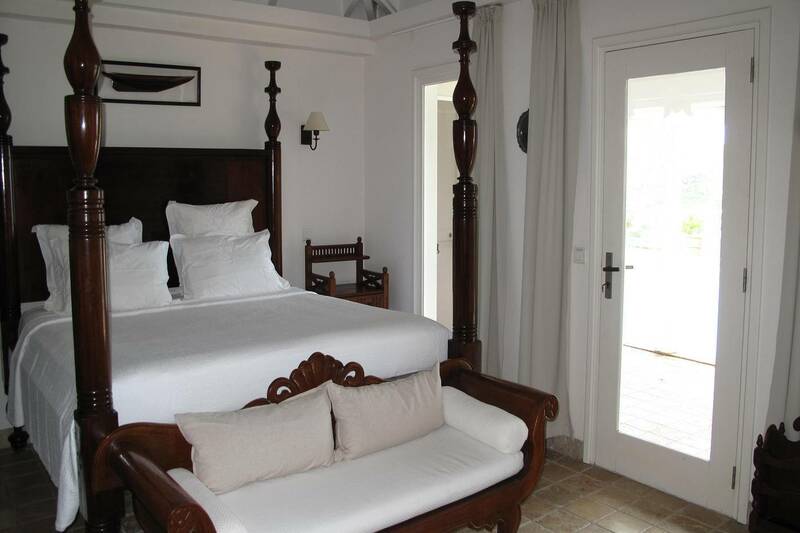 Classic in style, and pretty-as-a-picture, Villa Capella’s architecture and décor evoke an old-time Caribbean ambience that says, "you’re on vacation". 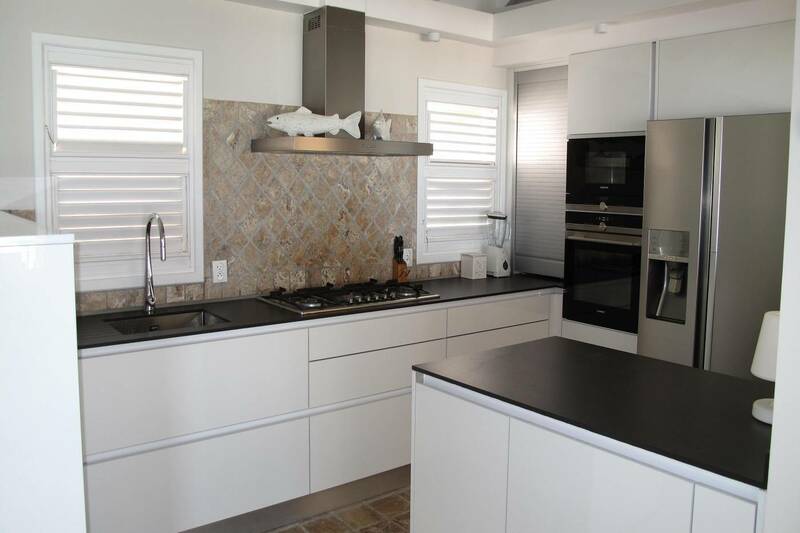 Its St. Jean location offers proximity to the little Côte d'Azur-like village’s bistros, boutiques, and its popular beach. 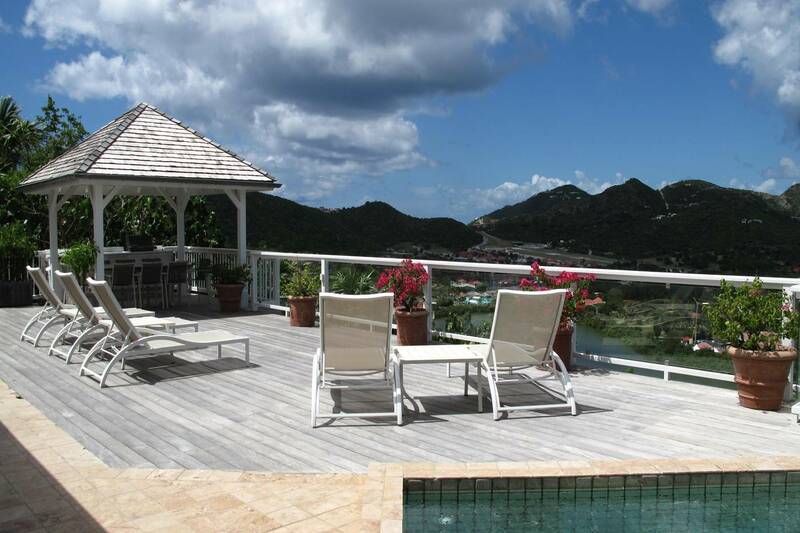 The water views are gorgeous! 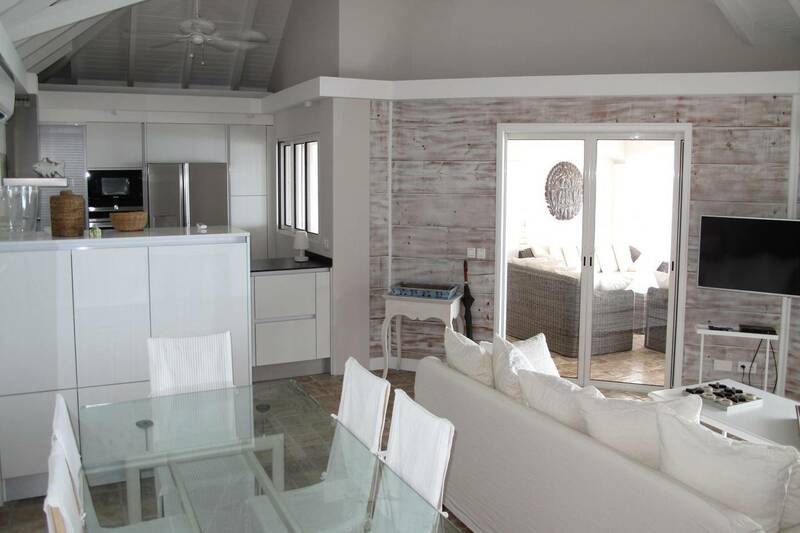 An open floor plan encompasses an air-conditioned living room with US satellite TV, a "formal" dining area, guest bath and a well-equipped kitchen. 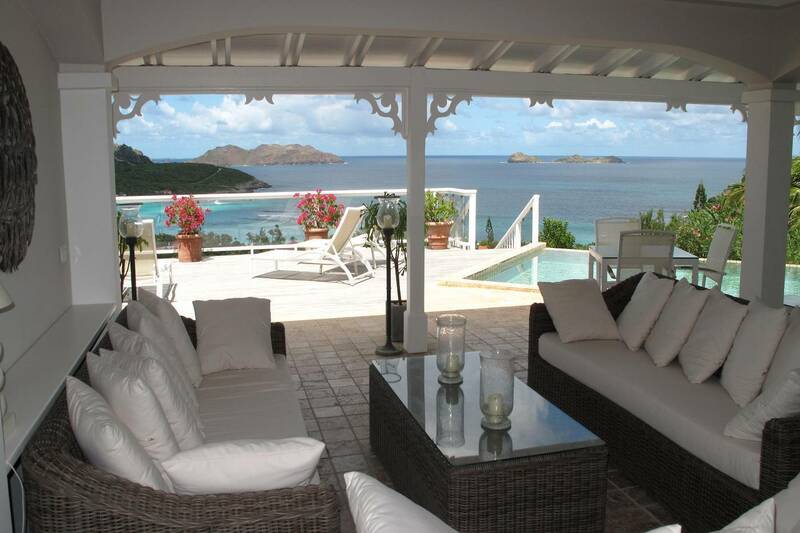 A covered outdoor living area looks out to the view and is a perfect spot for relaxing. 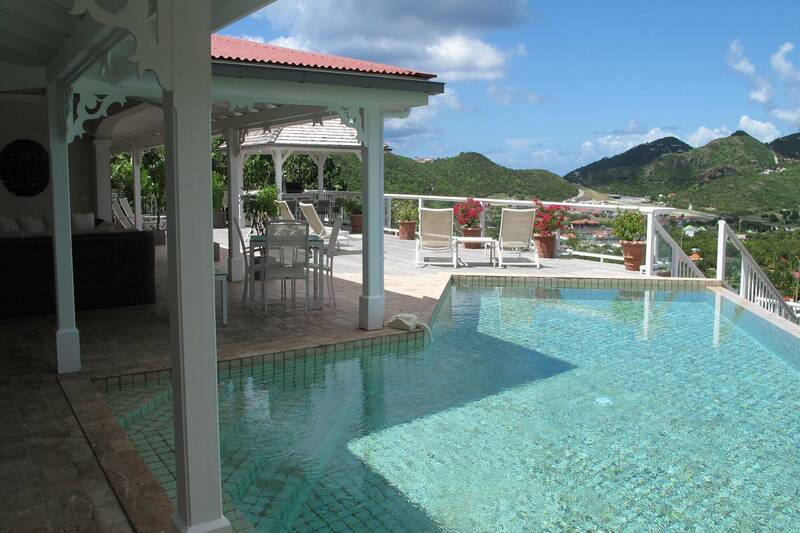 Poolside, a portico with a wet bar and a BBQ is furnished for al fresco dining. 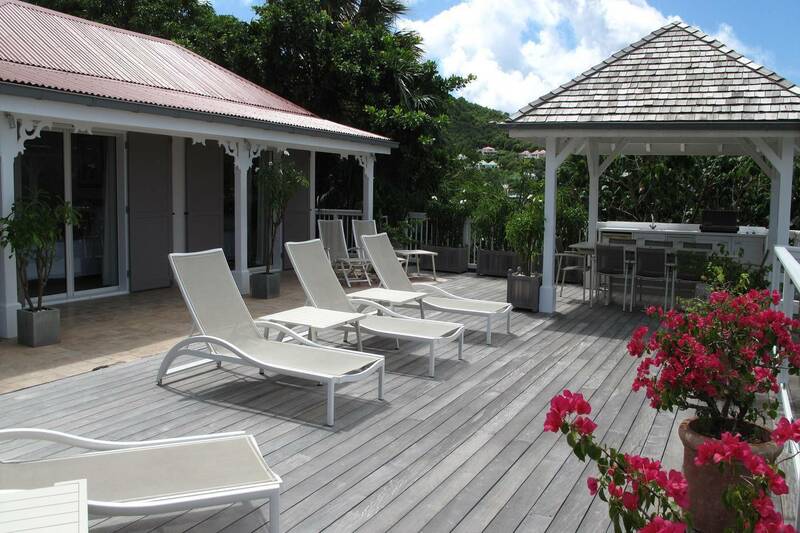 The pool and its sundeck make for a delightful oasis. 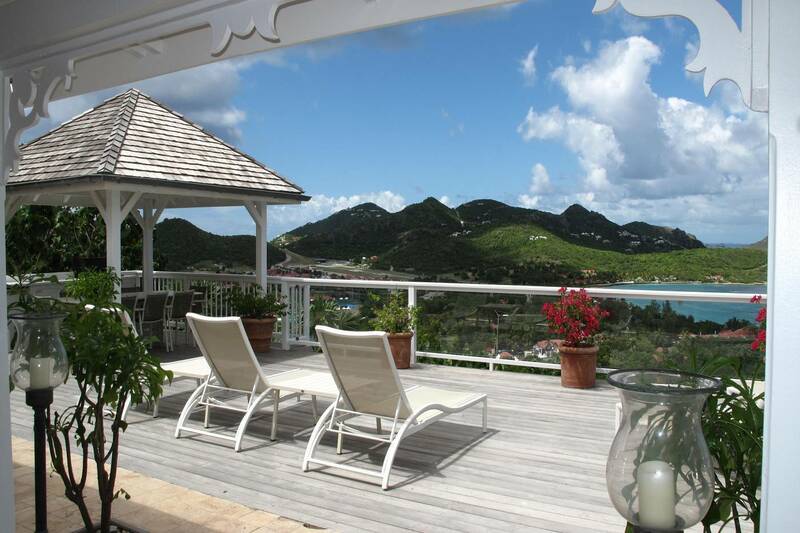 All four bedrooms have access to the pool terrace or a private terrace with a view. 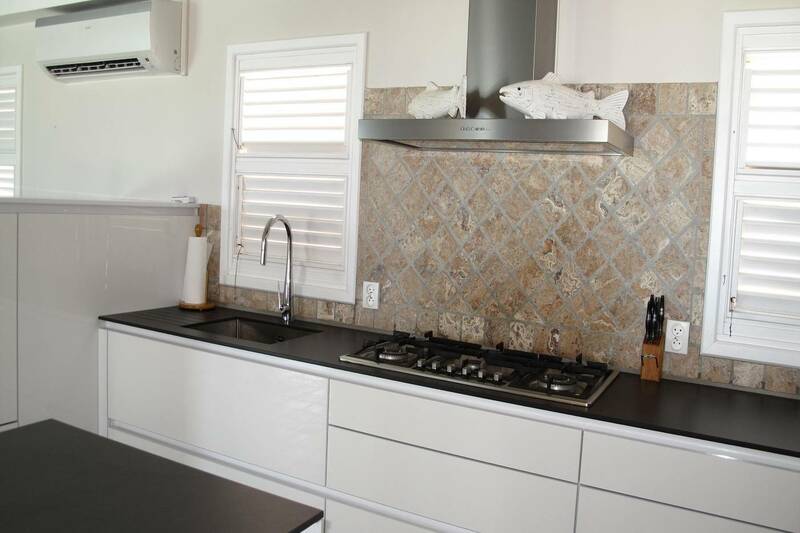 Each has an en suite bath with double sinks and showers. 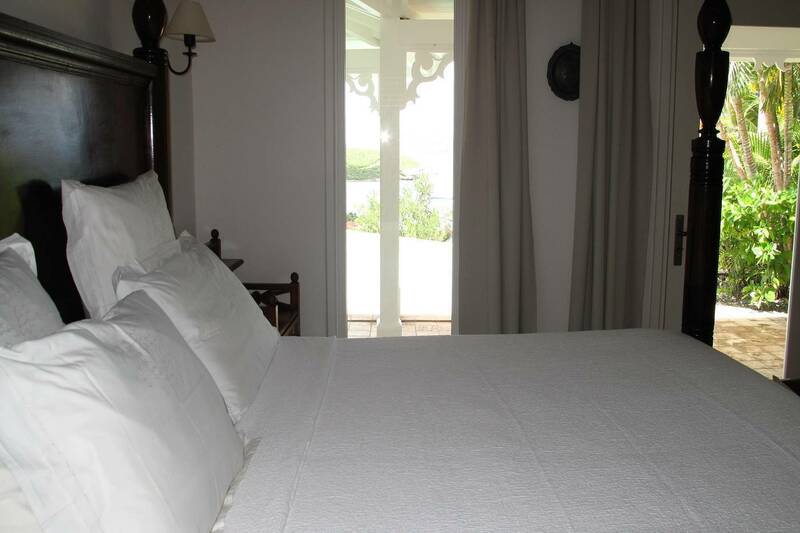 The beautifully decorated master bedroom has a romantic 4 poster French king bed; its bath has indoor and outdoor showers. 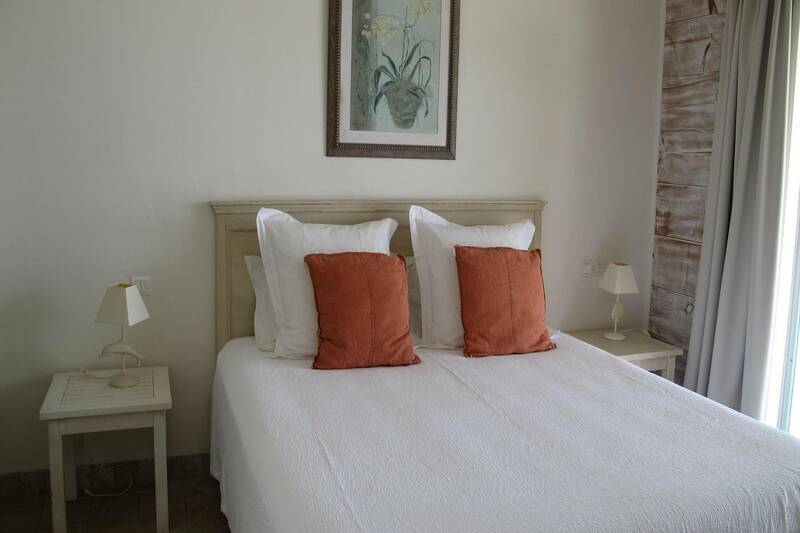 Two of the guest bedrooms have French king beds convertible to twins. 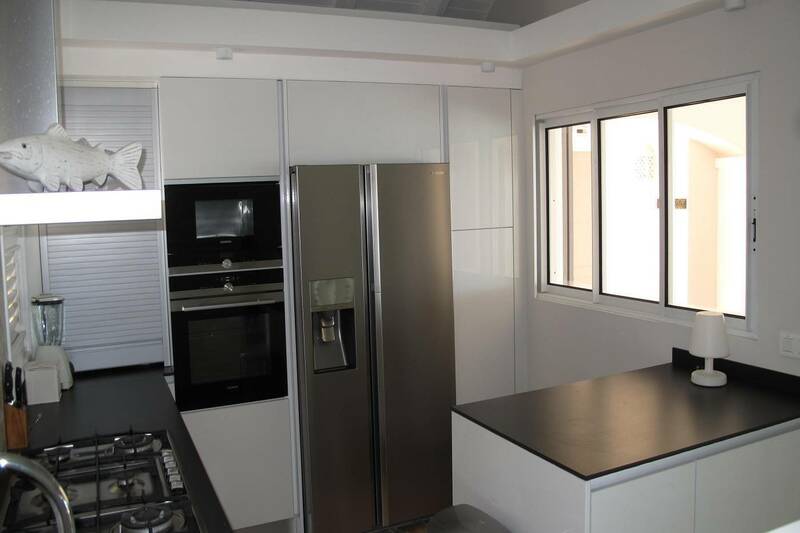 A separate bungalow houses a studio with a French king bed, en suite bath, TV, a sitting area and a kitchenette. 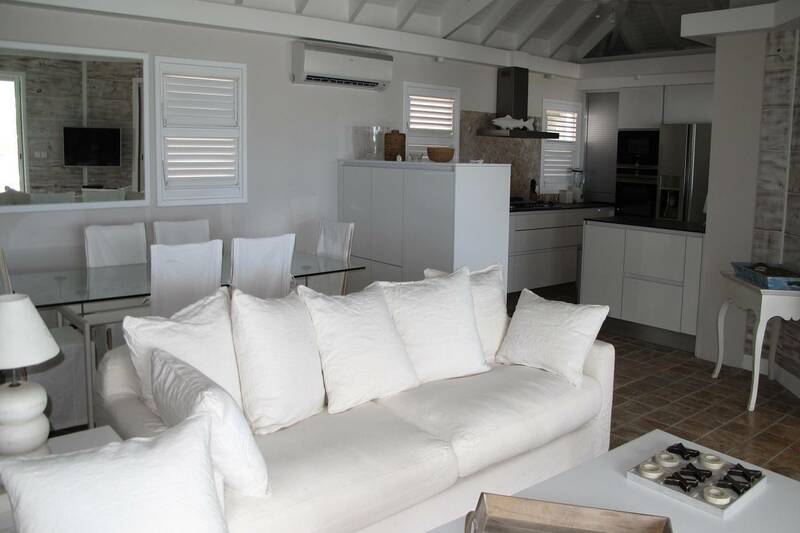 Air conditioned living room, “formal” dining area and kitchen; a poolside portico with external living and dining areas; 4 en suite bedrooms.